We shared this opportunity at the MAMLE Conference in October. 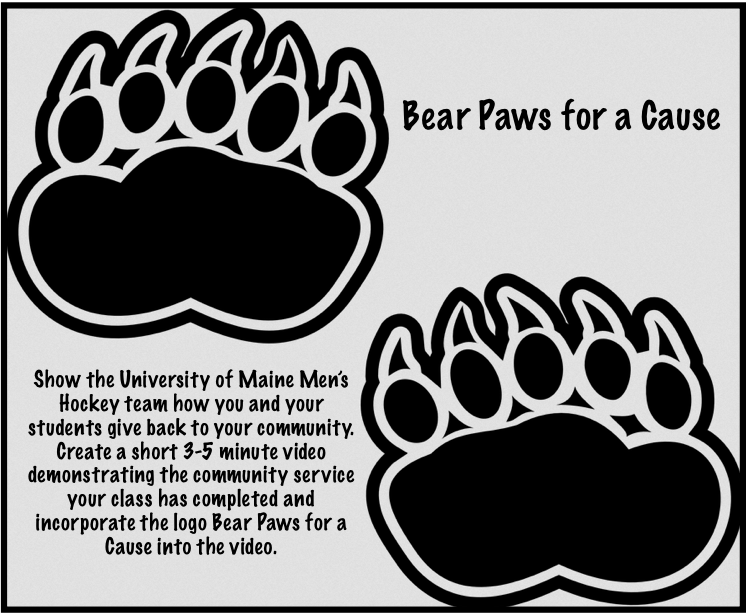 The due date for the Bear Paws for a Cause videos is Saturday, December 12, 2015. This entry was posted in Project learning and tagged Bear Paws for a Cause, Service Learning. Bookmark the permalink.